Why's it So Hard for Fashion Designers to Thrive in Canada? You don't have to be a hawk-eyed fashion photographer to spot that Canadians have a love of home-grown fashion style. So why are so many talented Canadian designers not able to grow beyond small business status, or worse, eventually close up shop? You don't have to be a hawk-eyed fashion photographer to spot that Canadians have a love of home-grown fashion style. It is an understated love, we are Canadian after all, but from Instagram campaigns celebrating iconic stripes and fashionable iterations of the maple leaf, to the huge crowds that attend Fashion Week events across the country, we are happy to show off our home-team pride. So why are so many talented Canadian designers not able to grow beyond small business status, or worse, eventually close up shop? As a company which has worked closely with designers, apparel and accessory brands and fashion suppliers all around the world for more than 50 years, DHL has seen fierce global competition affect every aspect of this industry. We know that succeeding in this sector is not easy, and that Canadian fashion brands face the additional challenge of selling to a small domestic market already saturated by large international brands. We are also on the ground in more than 200 countries -- and see first-hand that business opportunities for Canadian fashion labels exist. Taken by the numbers, Canada's fashion industry is struggling. Industry statistics show a 23 per cent market share drop for Canadian made clothing from 2004-2008, Stats Canada reports the clothing apparel GDP has dropped from $3.6 billion in 2002 to $1.4 billion in 2011. While these figures might paint an alarming picture, DHL's global perspective suggests instead that they're illustrating an urgent need for business innovation and for embracing international sales and supply chain opportunities. Simply put, Canada's fashion industry is being affected by the very same dynamics which are driving change throughout the world economy. While Canadian organizations have traditionally either relied on domestic demand or looked to the U.S., new economic opportunities are emerging in other regions. For example, research by DHL has highlighted strong population growth in countries located in Asia, Africa, Latin America and Middle East which indicates that by 2028, 85 per cent of the world's working age people will come from these regions. In fact, DHL sees Asia as the center of a thriving world trade by 2050, with Asian countries setting the terms of the world trade regime. These global demographic changes are creating new opportunities for Canada's fashion industry -- but they also demand a new, more globally-minded approach to business and commerce. As a company that counsels fashion organizations on how to work with international supply chains and customers, we know that taking the leap beyond domestic borders can be difficult or intimidating, particularly for a small or medium sized organization. 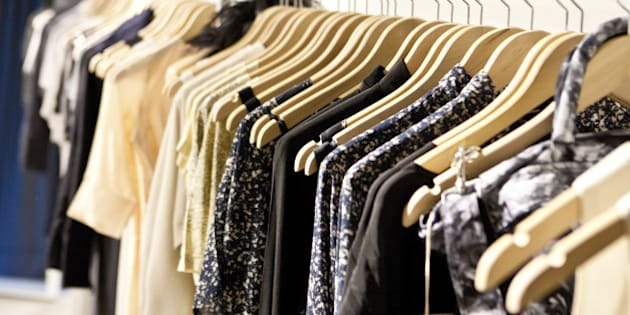 Doing business internationally can be complex, and in the fashion industry there are specific, often confusing regulations covering everything from samples to fabrics. Strategic planning, and the selection of the right partners and suppliers can do a lot to take the complexity out of the process. Don't get intimidated -- business forecasts indicate that the global economy will only become more interconnected, offering new and exciting opportunities for success beyond domestic borders. Take advantage of opportunities provided by online retailing which makes reaching customers in new markets less costly and complicated. Since you can't dazzle online customers with attractive store decor, nice background music, or personable sales staff, make sure to work with a logistics partner who can help you offer excellent customer service and fast, reliable shipping support -- ensuring your customers receive the products they want, when they want them. Focus on implementing innovative solutions that help improve the service you offer your existing online customers. This will help expand your customer base. Get help. Look for organizations which have established track records in international business that can help you navigate the complexities of local customs regulations, payment practices and applicable international business requirements. You don't want to have a collection held in customs because regulatory guidelines were not followed. Seeking local mentors like the Toronto Fashion Incubator, an organization DHL Express partnered with for a recent DHL Fashion Industry Panel at World MasterCard Fashion Week Toronto, is also an important and effective way to access insights and real-world expertise, and to learn what it takes to create a successful, international fashion brand. The international world of fashion has already eagerly embraced a number of Canadian brands, who act as pioneers for newcomers hoping to export a Canadian vision of style. Becoming an internationally known brand, however, doesn't happen by accident and it isn't all about the artistic vision and designs. To thrive on the world stage, Canadian fashion brands need to know how to seek out growth opportunities, how to find key business allies and how to provide great service to customers whether they're across the sales counter or thousands of kilometers away. As the international logistics leader, proud sponsor of Fashion Week events around the world, and supporters of Canadian designers and their visions, DHL aims to keep leading the conversation about how Canada's apparel and accessory sector can thrive -- with help from a global view on the business of fashion. For more information about how to expand your business internationally, visit the DHL Fashion Logistics portal.